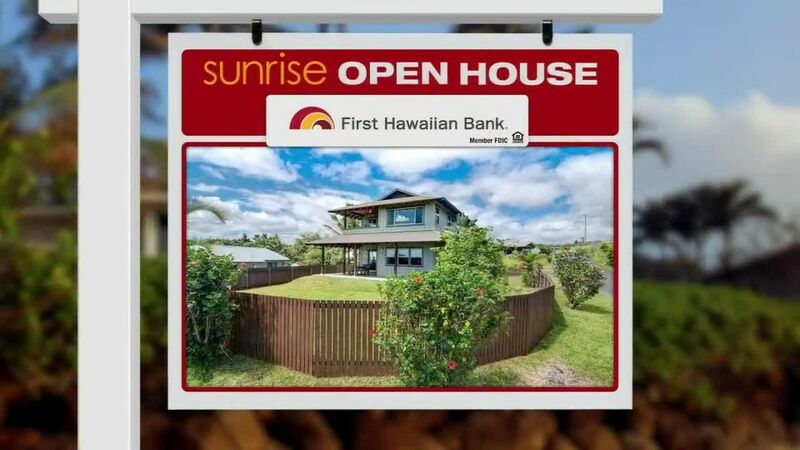 EWA BEACH, OAHU (HawaiiNewsNow) - On today's Sunrise Open House we take a look at one of the busier Oahu neighborhoods when it comes to home sales. 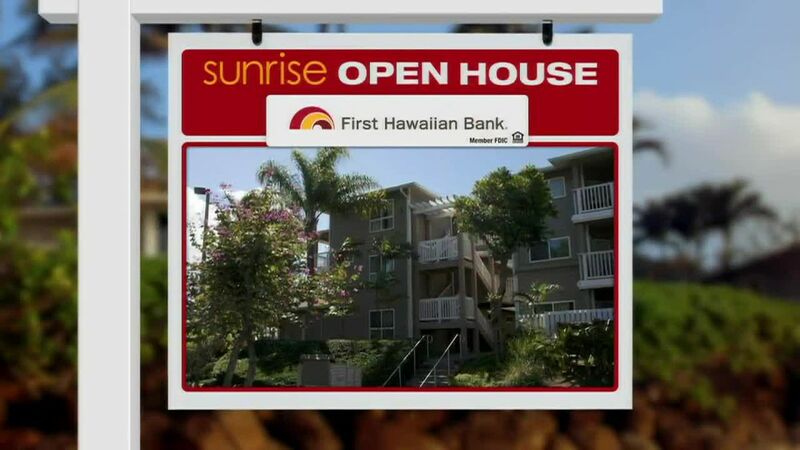 Ocean Pointe in Ewa has had 50 single family home sales in the last 180 days. There are 26 homes in escrow and another 23 actively listed for sale. Let's zoom in on 3 recent listings. This home on Kaiko Street has 4 bedrooms, 2.5 baths, a 2 car garage, and parking pad for a third car or a boat. Built in 2003 it has more than 2100 square feet of interior living space and 25 leased PV panels. The listing boasts of a wide open floor-plan, plantation shutters, tile flooring downstairs and bamboo wood laminate upstairs. There's also an extended fully covered and tiled lanai along with a large fenced in yard. Kaiko Street 4 bedroom home listed at $835,000. Next up, we move to Kai Wana Street for a home built in 2005. It has 4 bedrooms, 3 baths, and a 2 car garage with interior living space totaling more than 2500 square feet. Up on the roof there are 43 leased PV panels. This home has a full bedroom and bath on the first floor, tile & wood-inlaid flooring, and plantation shutters throughout. There's a newly replaced central a/c unit, newer appliances, a security system, an open floorplan, and high ceilings allowing plenty of natural light. 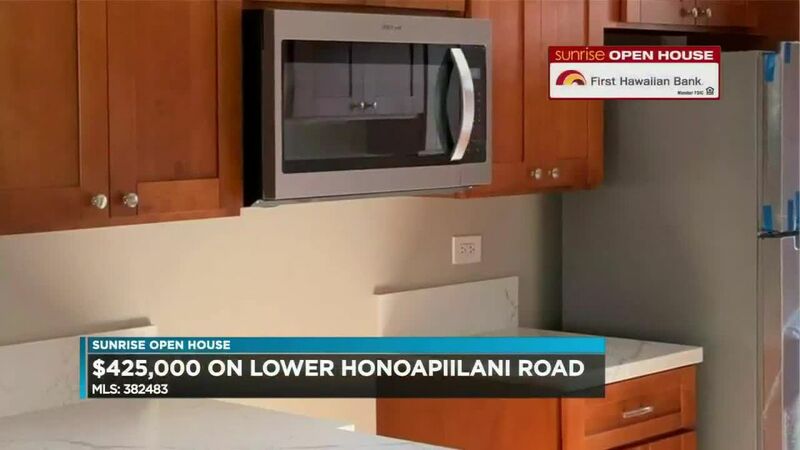 This Kai Wana 4 bedroom home is on the market for $889,000. Finally, a stop on Kai Uhu Street. This 4 bedroom, 3 bath home has a 2 car garage with a pad for a third vehicle. Interior living space measures 2,549 square feet. Built in 2006, this home has high ceilings, central A/C, and 17 owned PV panels. There's tinted windows, a security system, plantation shutters, stainless steel appliances, and granite counter tops. Outside, the manicured backyard is perfect for gardening, relaxing, and barbecuing with family and friends. This Kai Uhu Street 4 bedroom is offered at $969,000.